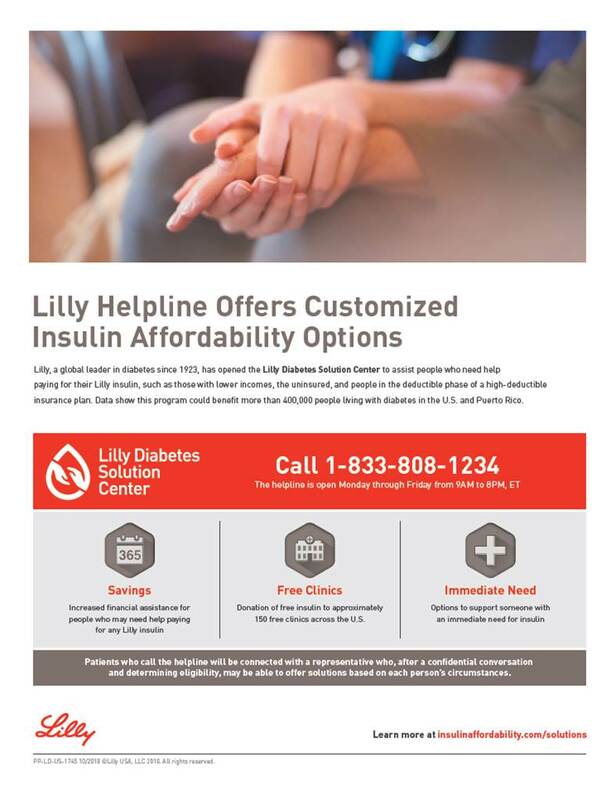 The solution center opened in August 2018 to assist people who need help paying for their Lilly insulin, such as those with lower incomes, the uninsured, and people in the deductible phase of a high-deductible insurance plan. Already, approximately 10,000 people each month are accessing Lilly insulin at a lower out-of-pocket cost. With hundreds of thousands of Federal employees and their families affected by the government shutdown, we want them to be aware of this resource. Live operators are available from 9 am to 8 pm EST, Monday through Friday, and they can ensure people are paying the lowest cost possible for their Lilly insulin. We encourage anyone with diabetes using Lilly insulin to dial (833) 808-1234 with questions.